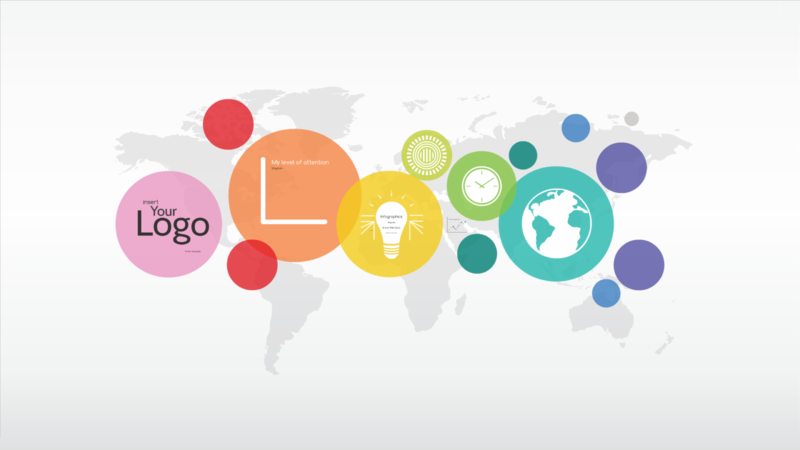 Prezi template with 3D world map background, semitransparent colorful circles. With infographics, you can tell the history, enumerate major features, describe events in a timeline, showing statistics, and display various types of data. Infographics rainbow template has a cool effect when zooming in and moving from one slide to another. Change the slides, move them. Most of the graphical elements, images are separate and can be moved, resized. Move, scale and rearrange and don’t lose any quality while zooming in, because all elements are vector based. 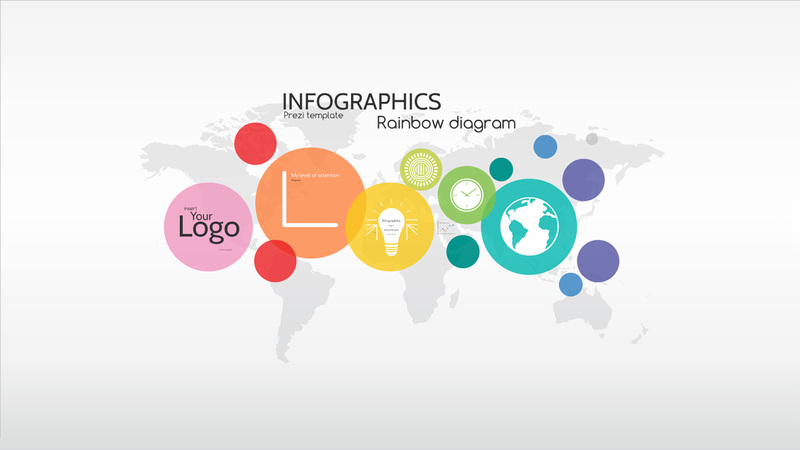 infographics rainbow diagram Prezi template is useful for many topics – Education, business, infographics, data illustration, timeline. Turn this Prezi, or any of your Prezi into a high definition video. To get started, send a Prezi link to us, use the contact page. See some of example’s at our YouTube channel. We do not collect or store any payment or credit card information. All the payments happen off-site on the secure channels of PayPal and 2Checkout. After the payment, you can download Prezi file or directly Save a Copy of the template to your own Prezi.com account for further editing.